In addition to wearing proper ice skating clothes, a figure skater must make sure his or her hair looks nice. A nice and neat hairstyle can help enhance a figure skater's performance. A figure skater's hair should be pulled back and be away from the face. Ballet dancers must wear their hair in a traditional ballet bun, but figure skaters can be more creative with their hair. 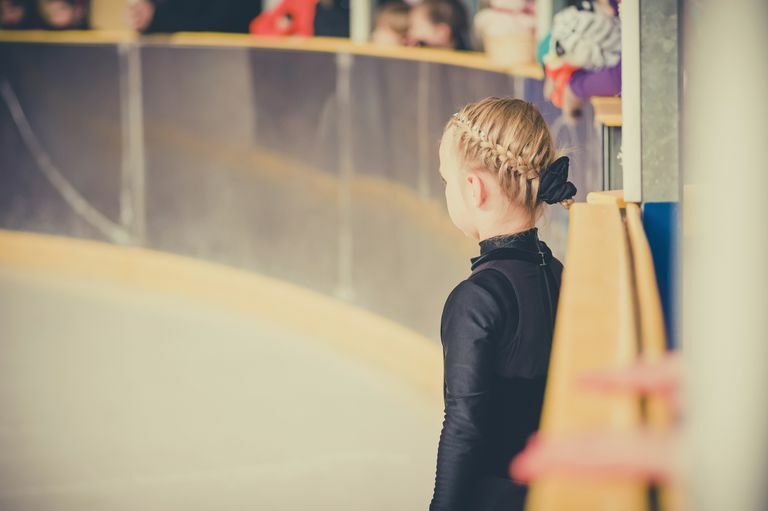 Ponytails, buns, and braids are all acceptable ways to wear hair for figure skating. French braids and updos can also be worn. A small bun can be enlarged by rolling up a sock (with the toe section cut out) into a donut type tube. A ponytail is pulled through the tube, and the hair is then arranged around the donut and secured with an elastic band. The remaining hair is then wrapped around the perfect "donut" bun, twisted, and pinned around the donut. Most boys' hair is short enough that little has to be done to change their hair for figure skating. A good rule of thumb is to cut a boy's hair often, especially before figure skating competitions. Most figure skating judges like short hair, but some boys do wear longer styles for ice skating. Keep to the rule that hair should not distract from a figure skater's performance. Time should be spent on making a figure skater's hair extra special for figure skating competitions or for other ice skating events, exhibitions, or shows. Gel or hairspray can be used and various decorations can also be added to an ice skater's hair. Barrettes, clips, and headbands can be used to help keep loose hair back and away from the face. If bobby pins or hair clips are used on the hair, make sure they are tightly secured. It can be very dangerous if a pin ends up on the ice since figure skating blades, ice, and hairpins don't mix. A serious accident can occur if an ice skater trips over a stray hairpin. Scrunchies around a ponytail, braid, or bun not only add color to a figure skater's hair but also help to hold hair back. Bows, ribbons, or artificial flowers can make an ordinary hairdo look fancy. Bun covers can be purchased at dance supply stores and will add elegance to a plain bun. In recent years, hairstyles for ice dancers are very different than the hairstyles worn by the ice skaters in the other figure skating disciplines. It is acceptable for both male and female ice dancers to wear long hair that is not tied back. Sometimes ice dancers' hair will flow loosely and may perhaps fit in with the theme of the ice dance team's music or free dance program. Some figure skaters can wear some hair up and also leave some of the hair down. For figure skating, this style works best for short or medium length hair. Curls in a figure skater's hair can add an elegant look. There are various ways to curl hair. Some skaters find using a curling iron is the easiest way to add curls to hair. Other skaters like leaving curlers in their hair overnight. Using a crimper can make long hair look beautiful on the ice. Crimped hair looks thick and flows nicely. Short hair may not need much done to it. A decorative clip or barrette may add a nice touch. Some figure skaters skate with bangs. If bangs are worn, they should be cut short so nothing distracts a skater's performance or practice. 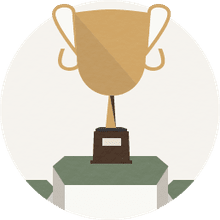 In recent years, some figure skaters, especially ice dancers, have used hairpieces or hair extensions to add glamour to their look on the ice. New small elastic hairpieces with curls, that wrap around ponytails or buns, are easy to attach and add fullness. Being creative with how you wear your hair on the ice can be fun. Looking one's best on the ice can make a figure skater skate better. Do You Know Your Figure Skating History? Are Rental Ice Skates Okay For Figure Skating? Where Did Figure Skating and Ice Skates Originate? Can You Play Hockey in Figure Skates?